How Many People Can Take Part In Laser Clays? How many students will be able to take part? We could give up to 50 people a full session of 10 practice clays followed by 15 competition clays in three different stands. Then there would be a final for the best shots. Alternatively we could get through a couple of hundred people with a shorter session, say 15 clays each from one stand. A stand is where they stand to shoot in relation to the laser clay launcher. This gives them a different aspect on the target. Usually it's down the line (flying away from the shooter), crossing and overhead target. 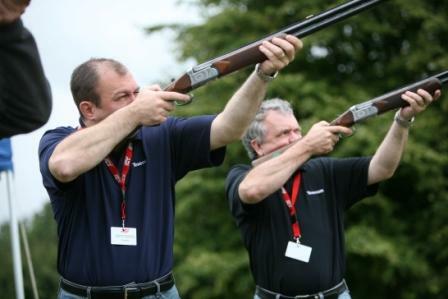 In both cases if this is the only activity there would be some standing around for those not shooting so if it's the only activity then they should come at pre-arranged times or you might have other activities if there is any more budget. We would be happy to advise on this.